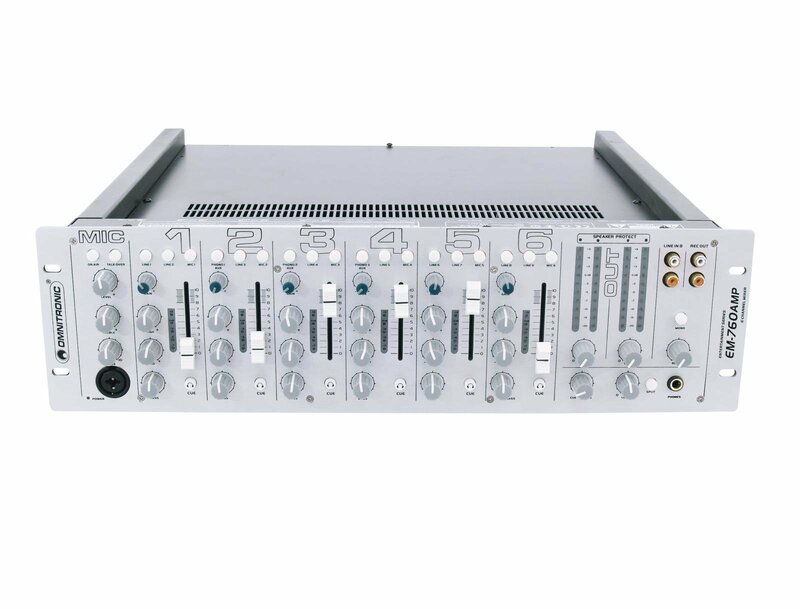 This entertainment mixer boasts not only a compact design but also various connections and clever operating elements. 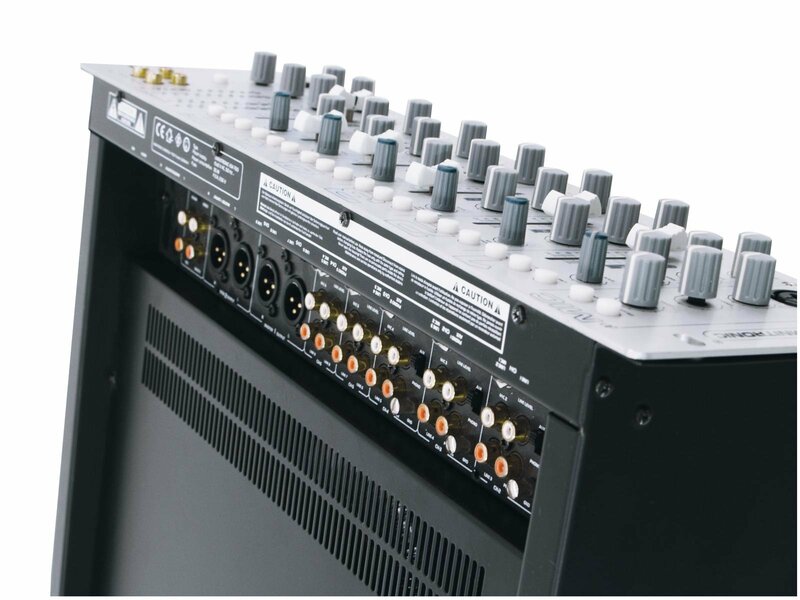 What's so special about the EM-760A is the integrated amplifier and the option to combine the outputs. 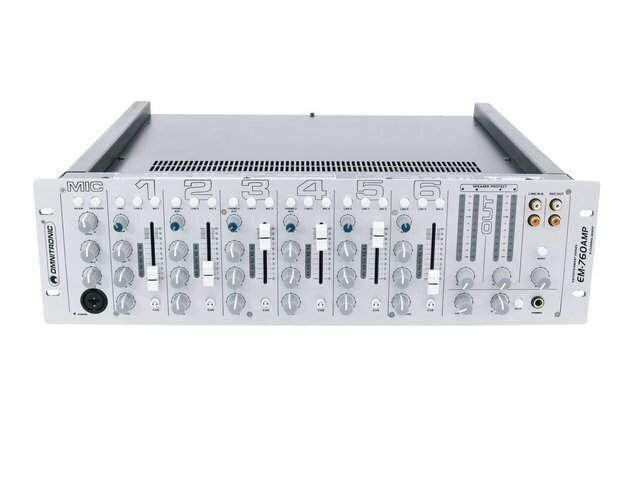 If you are satisfied with the output power and the range of the two integrated stereo amplifiers, just let each of them occupy one output. 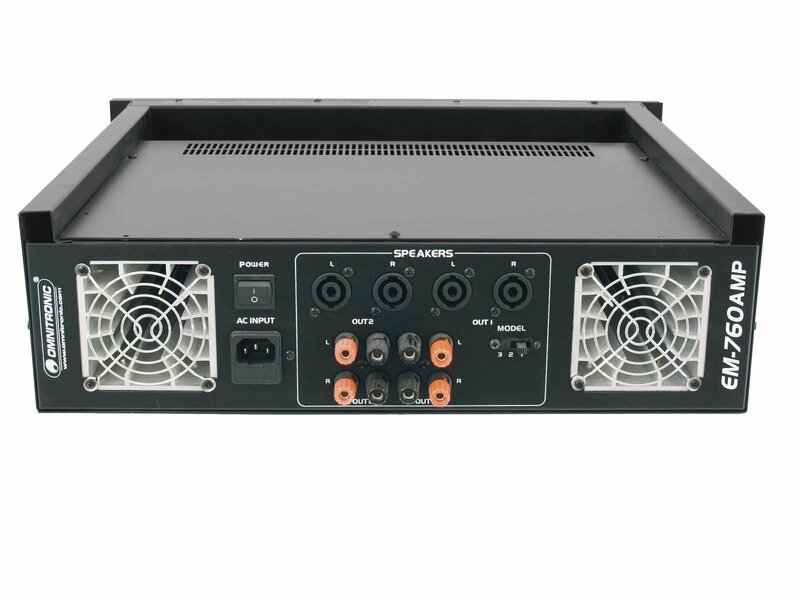 However, the output power can be increased by combining the two integrated amps to one output and connecting a further bigger amp to the free output. This is an option e.g. to achieve interesting sound effects for PA applictions in larger rooms with different volumes.